The file Swat Mod is a modification for Call of Duty 2, a(n) action game. Download for free. 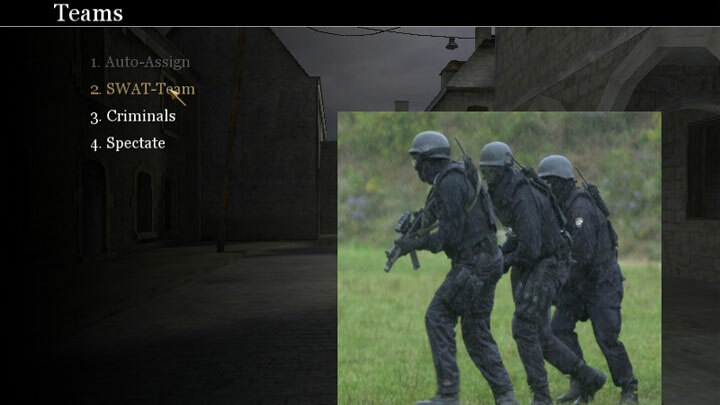 Swat Mod is a mod for Call of Duty 2, created by PlusIce. This mod adds custom items such as; compass, stance mod, ammocounter, team banners, team names ect. All the allied teams are the "SWAT-Team", Germans are the Criminals. This mod comes close to a total conversion but lacks some of the required elements. Items such as: custom weapons, custom player skins, and custom maps are a possibility for future release.